Protecting and beautifying your home doesn’t stop at the roof. Quality material covering the exterior walls of your home is critical not only to its curb appeal but weather resistance and energy efficiency as well. 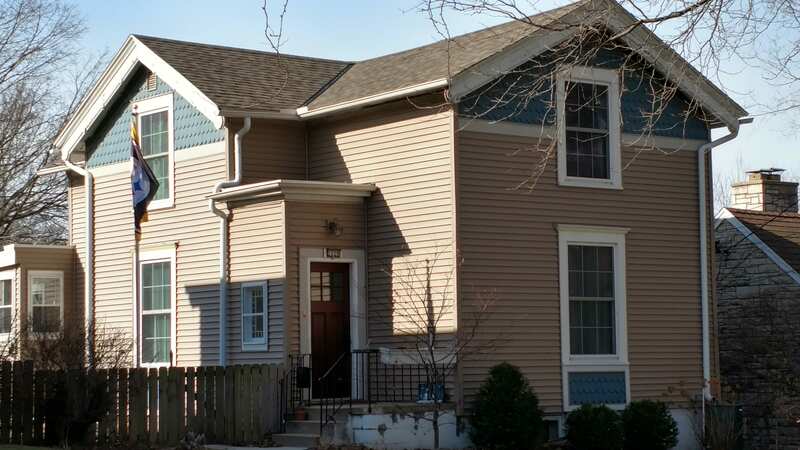 For many homes, that means great quality siding, and Community Roofing and Restoration knows siding installation in Milwaukee and the surrounding areas. Quality siding is an instant and measurable upgrade to your home. A well-done siding installation creates an effective barrier from the elements that is second to none in terms of good looks. Not only that, but most types of modern siding are extremely low maintenance. Typically dirt and dust are easily washed off, and with many types, painting is rarely necessary, if at all. This means you spend less time working on your home, and more time enjoying it! Siding offers the opportunity to easily change the color scheme of your home, and even add a two-tone effect that will really make it stand out on your block. A siding installation and trim paint job can increase your home’s value overnight, and make an old house seem new again. Modern insulated siding dramatically increases your home’s R-value, and is resistant to wind and weather, helping keep your house draft-free. We also pride ourselves on our expertise in the installation of house wraps such as Tyvek, and the repair or installation of soffit and fascia. Call us today to discuss your siding project! Interested in new siding installation for your home? We’re happy to stop by and take a look at your house, answer all your questions and give you a free quote. Give us a call at 414-332-1139 or fill out our contact form today to schedule your free visit!